If all the beasts were gone, men would die from great loneliness of spirit. FACT: APBTs are the most stable people-friendly dogs in existence. Problems occur with cross-breeding to 'snappish' breeds or irresponsible upbringing. Some of the following information was taken from "The American Pit Bull Terrier (APBT) FAQ" at http://www.nyx.net/~mbur/apbt.html . The canine may be humanity's best friends, but humanity is sometimes not canine-friendly. The American Pit Bull Terrier (APBT) is a descendent of the original English bull-baiting Bulldog and has historically been bred with working/performance goals in mind, including, unfortunately, fighting. Currently, the United Kennel Club and the American Dog Breeder's Association recognize and register the American Pit Bull Terrier as a breed. The AKC recognizes the American Staffordshire Terrier. The American Pit Bull Terrier and the Amstaff are two closely related breeds, with the Amstaff being, in theory, a non-game-bred off-shoot of the APBT. Conformationally, the two breeds are very similar, and many dogs are dual registered. There are subtle differences, however. The red-nose trait, for example, is fairly common in the APBT and pefectly allowed, but red-noses are disallowed in the Amstaff. In 1936, thanks to "Pete the Pup" in the Lil Rascals, who familiarized a wider audience with the APBT, the AKC registered The American Pit Bull Terrier as the "Staffordshire Terrier". This name was changed to "American Staffordshire Terrier" (AST) in 1972 to distinguish it from its smaller, "froggier", English cousin the Staffordshire Bull Terrier. During this time period, and the years that preceded it, the APBT was a well-liked dog in America. At this time the APBT was considered an ideal family pet. Because of his fun-loving, forgiving temperament, the breed was rightly considered an excellent dog for families with small children. Even if most of them couldn't identify the breed by name, kids of the Lil Rascals generation wanted a companion just like "Pete the Pup". During the First World War, there was an American propaganda poster that represented the rival European nations with their national dogs dressed in military uniforms; and in the center representing the United States was an APBT declaring in a caption below: "I'm neutral, but not afraid of any of them." 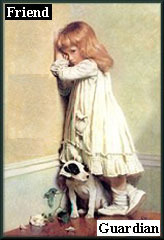 Click Here to see one of the old WWI posters featuring an APBT. There are several types of dogs that are commonly called "Pit Bulls." Primarly, these are the American Pit Bull Terrier, the American Staffordshire Terrier (AST), and the Staffordshire Bull Terrier (SBT). All three of these dogs share common ancestry but have been subsequently bred emphasizing different breeding criteria. Due to this divergence, some people feel that they are now different breeds. Since 1936, due to different breeding goals, the American Staffordshire Terrier and the American Pit Bull Terrier have diverged in both phenotype and spirit/temperament, although both, ideally, continue to have in common an easy-going, friendly disposition. Currently, the United Kennel Club and the American Dog Breeder's Association recognize and register the American Pit Bull Terrier as a breed. The American Canine Temperament Testing Association, which sponsors tests for temperament titles for dogs, reported that 95% of all APBTs that take the test pass, compared with a 77% passing rate for all breeds on average. The APBT's passing rate was the fourth highest of all the breeds tested. Say you've found a stray APBT, tried unsuccessfully to locate the owner, and now you want to try to keep the dog temporarily or permanently... you have questions. Lots of them. Here, we attempt to answer some of the common questions that have been put to us by people unfamiliar with the breed. How do I test for dog-aggression without endangering either dog? Have both dogs restrained SECURELY. You can do this by either placing one dog in a sturdy kennel where he/she can see outside and bringing out the second dog on a leash (make sure neither dog can escape). Bring the two close enough for them to sniff one another. See how they react. You can chain the APBT up temporarily while you bring out the dog on a secure leash (don't try this with a dog that's big enough to get away from you!). You may want a second person present. If the APBT acts calm or friendly upon seeing the dog at a distance, bring the new dog closer until or unless the APBT begins to growl or bark aggressively (barking alone isn't a sign of aggression). If no aggressive posture is exhibited by either dog, then bring the two close enough to sniff noses, but be very careful to keep control over the leashed dog. Make sure the APBT is at the end of the chain before bringing the new dog that close. If all goes well after you've introduced the dogs in such a way, and you want to try the two dogs off-leash, have at least two strong people present at all times. Keep in mind that it is rarely a good idea to have two adult males play together unless they have been raised together and they are supervised at all times. Even dogs raised together can get into dominance issues that lead to fights. How high of a fence do I need? You need at least a six foot fence. Be warned, however, that many APBTs can jump even a six-foot fence if motivated. Six-foot privacy fences are a good idea because the dog can't see all the temptations that pass by. However, observe your own dog. Some dogs are jumpers, others are not. If you do have a dog that is a jumper, consider combining an electric gate with a physical gate. Or put a hot wire at the top of the gate. What kind of collar and leash do I need? You need strong ones! Forget about plastic clamp collars. They can break. Get a thick nylon or leather buckle collar and a strong 4' to 6' leash. Make sure the dog's neck cannot slip through the collar. Harnesses and head halters are good as they are more secure. Use these only if the dog pulls on the leash or if the dog's neck is almost as thick as his/her head (which I've encountered once or twice - learning a valuable and potent lesson). What kind of weather can APBTs withstand? APBTs are sturdy dogs, but in hot weather they need lots of water and shelter from the sun. In the winter, they need an insulated dog house or other appropriate shelter and a nice blanket. Try not to keep them outside in extreme temperatures, but, if you have to, make sure they have adequate insulation. In very hot weather outside, consider buying a cool pack made for dogs. In very cold weather, buy a microwavable heating pad (retains heat for 12 hours), and place these under the dogs blanket in the insulated dog house. Basically, these dogs are best kept as indoor/outdoor dogs. Are APBTs good around cats? APBTs are dogs. Like any breed, some dogs are great around other animals, and some aren't. If the dog has been raised around different animals, odds are that he or she will be fine with them. However, don't trust the dog alone with any animal for at least a few months. Use your own judgement. Take time to observe the dog interacting with other animals (after you've tested him or her properly, of course). Some people will tell you never to leave an APBT alone with another animal, even if the two were raised together. That's good advise, but there are exceptions. I've known several people who've raised two APBTs together without encountering any problems. My own family has had many APBTs and have encountered no problems by doing so (if they've been raised together, or if they've established a solid, friendly relationships). However, an APBT owner should always be cautious when he/she has two dogs in the same household. Generally, it is best to separate the two at night and supervise them together as much as possible. Also, this breed doesn't fully mature until about 3 years of age, so be advised that a PIT BULL that seems dog friendly may develope dog aggression when he or she reaches full maturity. It is best never to leave two APBTs of the same gender alone together, no matter how great they seem to get along. It takes less than a second for a dominance issue to start, and, hence, it is not recommended to leave two dogs of the same gender alone together. I've found a stray APBT and want to turn it into the shelter. Should I? First CALL the shelter and ask what they do with APBTs. Many shelters and humane organizations have mandatory euthanization policies for APBTs, even puppies. Many people have called me saying they turned the dog into the shelter and didn't know about the policy. Once they found out, they tried to get the dog back, but the shelter refused to give them the dog. Once you turn a dog into the shelter, you release all custody to the shelter. No, APBT do not have either. Dr. I Lehr Brisbin of the University of Georgia states, "To the best of our knowledge, there are no published scientific studies that would allow any meaningful comparision to be made of the biting power of various breeds of dogs. There are, moreover,compelling technical reasons why such data describing biting power in terms of 'pounds per square inch' can never be collected in a meaningful way. All figures describing biting power in such terms can be traced to either unfounded rumor or, in some cases, to newspaper articles with no foundation in factual data." Futhermore, Dr. Brisbin states, "The few studies which have been conducted of the structure of the skulls, mandibles and teeth of pit bulls show that, in proportion to their size, their jaw structure and thus its inferred functional morphology, is no different than that of any breed of dog. There is absolutely no evidence for the existence of any kind of 'locking mechanism' unique to the structure of the jaw and/or teeth of the American Pit Bull Terrier." The APBT does have one of the strongest jaws of all canines, but there is substantial disagreement on the psi biting pressure of the breed. My Uncle's Friend's Wife's step-brother said that APBT's are born mean and can't be trusted. Is this true? No, this couldn't be further from the truth. Most people who think or say that "Pit Bulls" are inherently mean have most likely never met one and rely on the inaccurate media portryal of "Pit Bulls" as the basis for their opinions. Like any other breed of dog, the key areas of focus for ensuring a happy, well adjusted American Pit Bull Terrier as a pet are: owner education, propervbreeding, socialization, and training. A break down in any one or more of these areas could lead to problems down the road. The APBT is, contrary to popular belief, very human-friendly and will not naturally be aggressive towards humans. The APBT is, however, very loyal and eager to please, so that if an owner wants a dog to be aggressive toward humans and reinforces this behaviour from an early age, the dog will most likely be aggressive towards humans as an adult. Many people equate or confuse aggressivness towards other dogs with aggressivness towards humans. I have seen newspaper reports in which "concerned neighbors" are quoted saying things like, "This time it killed a stray cat; tomorrow it may be my children." Yet animal-aggressiveness is an entirely different thing from human-aggressiveness. There is no reason to infer from its killing a cat that a dog, any dog, not just an APBT--will ever show aggression toward human beings. Dogs can and do discriminate, even if irate neighbors cannot. One of the most enduring urban legends involving dogs is the one about Doberman Pinscher's supposed tendency to suddenly "turn on" their loving owners. This violent change in behavior is said to be precipitated by a natural swelling of the dog's brain at a certain age (the exact age differs according to the retelling). Of course this legend has no basis at all in fact. The "pit bull" has replaced the Doberman Pinscher as the stereotypical "vicious breed," but the same human ignorance and credulity is behind the persistence of such legends. Did Hellen Keller really own a "Pit Bull"? Yes, she did. Reportedly, so have other famous people such as Fred Astaire, President Theodore Roosevelt, and General George Patton. Currently, people such as Michael J. Fox, Stephany Kramer, Jan Michael Vincent, and Jeremy Miller own or have owned an APBT. Click Here to see an old picture of Helen Keller and her APBT. The APBT was once considered to be a wonderful family pet by the general public.During World War I, an APBT was used to represent the United States on a propaganda poster. During the 1930's and 40's, every kid who watched the Lil' Rascals wanted a dog just like "Pete the pup" who was an APBT. Gameness in APBT's is a canine virtue that is most akin to the human virtue of unflagging courage. It is a determination to master any situation and never back down out of fear. It was developed in the American Pit Bull Terrier by generations of selective breeding. It is manifested in the can-do attitude of pit bulls toward any type of challenge, whether agility competitions, climbing up trees, or protecting their family against an armed attacker, etc. In a report from Dekalb County Georgia, the conclusion was reached that statistics could no be used to document the dangerousness of any one breed, or the comparison of one breed to another. The 5-year study of fatal attacks from 1975-1980 lists the GSD first and "mixed breeds" second with the American Pit Bull Terrier listed 6th. A 6-year study in Palm Beach County of "most severe dog bite by breed" shows the top 10 breeds who have been identified in this comparison. Some of the breeds which placed above the APBT were Dalmations, Chows, Labs, Goldens, Rotties, Dobermans, and the afore-mentioed Cocker Spaniel. In a 1993 study, also in Palm Beach County, the bites were ranked by severity from 1 to 4 and the animal that was recorded as having inflicted the greatest number of severe bites was the domestic short-haired cat. A breed labelled as "pit bull" was in 5th place, following cat, GSD, Chow and Lab. 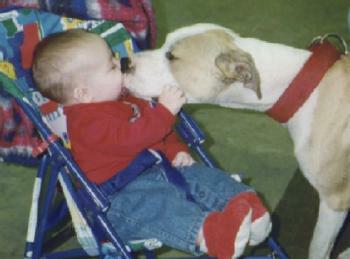 The division of general pediatrics, emergency medicine, at Children's Hospital in Philadelphia conducted a study in 1989 as a result of a ***perceived*** increase in pit bull injuries. 12 different breed/crossbreds were identified as perpetrators, the tope four of which were GSDs, pit bulls, rottweilers and Dobermans. 54 per cent of the animals were contained and 45 per cent were provoked prior to biting (by parental report). In Great Britain in 1991, Staffordshire bull terriers were reported as the commonest dogs producin bites, followed by the Jack Russell, medium-sized mongrels and the GSD. Please note that the Staffordshire bull terrier is NOT an American Pit Bull Terrier. In 1991, in Australia, the Journal of Pediatric Child Health reported that the GSD was implicated in dog bites presenting to the ER of a children's hospital and were implicated more frequently than their prevalence in the community. The identified risk group are children less than 11 years old, mean age is 8, males outnumber females. Only 7 % require hospital admission. The method was to match 178 pairs of dogs selected from dogs reported to an urban animal control for a first-bite episode on a nonhousehold member in which the victim received medical treatment. Controls were neighborhood-matched dogs with no history of biting a nonhousehold member, selected by modified random-digit dialing.